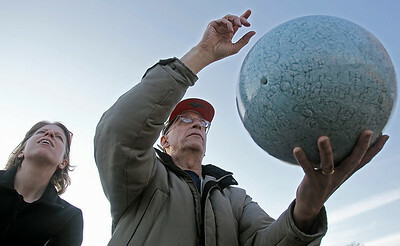 Matthew Apgar - mapgar@shawmedia.com Elizabeth Jackson of Lake in the Hills, left, looks up at the moon as Michael Purcell points out craters using a model on Tuesday, March 31, 2015 at the Crystal Lake Public Library in Crystal Lake. Purcell and other members of the Lake County Astronomical Society were part of a moongazing event in the parking lot of the library with various telescopes and astronomical equipment. 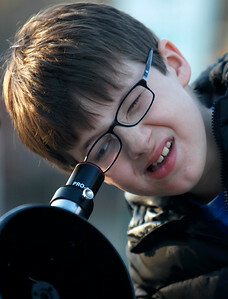 Matthew Apgar - mapgar@shawmedia.com Ian Rich of Crystal Lake, 9, peeks through a telescope to view the moon on Tuesday, March 31, 2015 at the Crystal Lake Public Library in Crystal Lake. Members of the Lake County Astronomical Society were part of a moongazing event in the parking lot of the library with various telescopes and astronomical equipment. 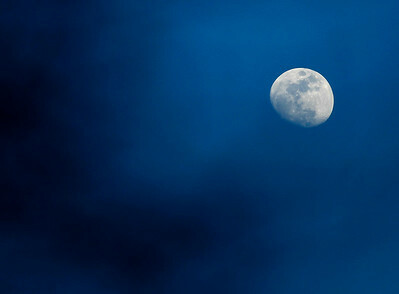 Matthew Apgar - mapgar@shawmedia.com The moon shines brightly in the sky on Tuesday, March 31, 2015 at the Crystal Lake Public Library in Crystal Lake. Members of the Lake County Astronomical Society were part of a moongazing event in the parking lot of the library with various telescopes and astronomical equipment. 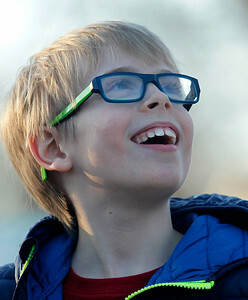 Matthew Apgar - mapgar@shawmedia.com Thomas Jackson of Lake In The Hills, 9, looks up at the moon in amazement after viewing it magnified through a telescope on Tuesday, March 31, 2015 at the Crystal Lake Public Library in Crystal Lake. Members of the Lake County Astronomical Society were part of a moongazing event in the parking lot of the library with various telescopes and astronomical equipment. 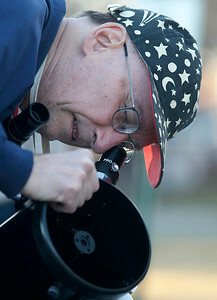 Matthew Apgar - mapgar@shawmedia.com Michael Purcell of the Lake County Astronomical Society focuses a telescope on the moon on Tuesday, March 31, 2015 at the Crystal Lake Public Library in Crystal Lake. Purcell and other members of the Lake County Astronomical Society were part of a moongazing event in the parking lot of the library with various telescopes and astronomical equipment. 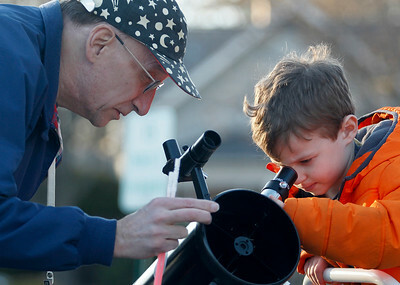 Matthew Apgar - mapgar@shawmedia.com Michael Purcell of the Lake County Astronomical Society helps Jack Rich of Crystal Lake, 5, view the moon through a telescope on Tuesday, March 31, 2015 at the Crystal Lake Public Library in Crystal Lake. Purcell and other members of the Lake County Astronomical Society were part of a moongazing event in the parking lot of the library with various telescopes and astronomical equipment.